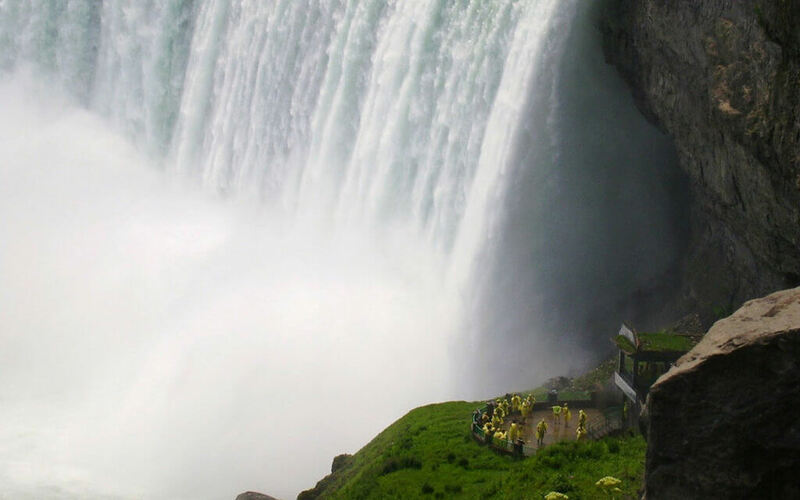 Niagara Falls has a magnetic pull for both curious tourists and daredevils alike. The swift Niagara River picks up steam as it heads for the three massive waterfalls before falling over a steep 165-foot cliff. Despite the danger, people can’t seem to stay away from the steep drop. Every year, boaters, kayakers, jet-skiers and swimmers are rescued from the water. Managers of the state-operated power plants at the falls have taken precautions to ensure that people don’t get too close to the edge. They’ve installed bright, buoyant, weather-resistant barriers. The barriers link up across the surface of the water and divert boats away from the plant’s water intake the same way safety railings prevent park visitors from slipping off the edge of an observation deck. These barriers are examples of what’s called a forcing function. Safety rails are one are example of forcing functions used to protect park visitors at Niagra Falls. Forcing functions create barriers to divert people away from danger and towards desired outcomes. Forcing functions, also known as behavior-shaping constraints, engage our brains so that we think about making better decisions. In product design, these constraints often protect our physical safety. In addition to rough waters, forcing functions appear in cars and microwaves, preventing errors such as shifting into reverse at high speed or exposing ourselves to radiation, and enabling us to drive and cook food respectively. These constraints fit into a larger project management process. Designing thoughtful implementation of each function is the key to boosting productivity, without making people feel like there’s a child safety lock at every turn. Working in tandem creates a forcing function where team members nudge each other towards more productivity at work. Pair programming in software development is a great example. In pair programming, two engineers sit side-by-side at the same workstation and keep a running dialogue about what to code next. The one typing acts as the “driver” and the other acts as the “navigator.” The two can switch roles as many times as they like. While the process is not the fastest method of shipping code, it has proven to deliver around 15% fewer bugs. Therefore, partner programming not only catches more errors, but also makes workers more productive in the long and short-term. In this light, reduced expediency becomes a small price to pay. You don’t have to be a programmer to instill a pairing system. Peer reviews can work just as well. In an agency, for instance, creatives can be each others’ editors and give critiques of work, and account managers can pair up for certain clients. You can start to see the benefits right away in terms of articulation and focus. Instead of feeling like lone wolves, workers will form packs, leaving ample opportunity for joint brainstorming and validation of ideas. Through regular check-ins with their partners, colleagues will have to show not only their work, but their thinking behind it. 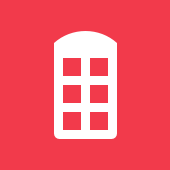 You can use Redbooth’s team meeting template to set up peer reviews. The partner review board ensures that the process is well-documented and results-driven. By having a work partner serve as a forcing function, employees can create a productive workflow engine that runs on goodwill. In the succinct words of a Redbooth forum user, a dependency is, “a task that requires another one to be completed before it can start.” Dependencies act as forcing functions because the hierarchy between tasks dictates flow. Connecting dependencies creates an orderly step-based path to project success. In a project timeline, dependent tasks are given the designation of “parent” or “child.” As the labels imply, child tasks cannot exist without the parent creations. Often parent tasks are no more important than child tasks, but rather simply must come first. Child tasks are not components of parent tasks, but their successors. This helps you decide whether to create dependencies or subtasks. Subtasks are under the umbrella of a task — a task cannot be complete until all of its subtasks are complete. Parent-child tasks are done successively. In the example Gantt chart below, child tasks appear to the right of parent tasks. In a Gantt chart, dependencies are shown with black connector lines. You can easily tell which are the parent tasks. For instance, the employee in charge of “Storyboard concept” cannot start before the “Client Planning Meeting” because the client needs to approve ideas before they go into production. 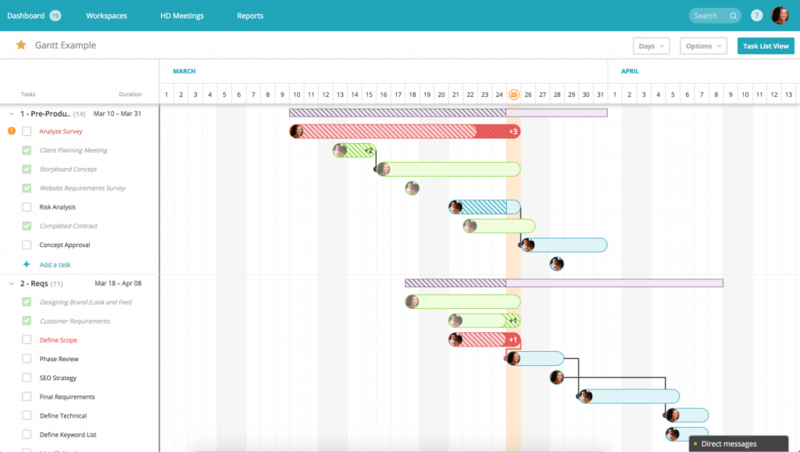 On the Gantt chart, the employees in charge of the meeting and the storyboard can see the relationship between their two assignments and the order of operations. This can increase communication and reduce the number of hectic, last minute changes to the project plan. In addition to establishing order, dependencies put more accountability on individual actors to get work done on time. Like with partner reviews, knowing someone else’s performance is linked to yours adds external motivation to push through the final hours of a task. To plan dependencies effectively, you need to accurately define the project scope. If a task is unwieldy or a deadline is way off, then the dependency waterfall collapses. To come up with realistic deadlines and well-designed tasks, try conducting a postmortem on previous projects and a “premortem” on upcoming projects. Postmortem – Look back at records of old projects and see how the predicted deadlines lined up against actual timelines. Take note of why bottlenecks happened and whether desired metrics were met. Premortem – Imagine you’ve failed the upcoming project. What went wrong and why? What preventative measures can you take to ensure a more successful outcome? Dependencies act as a forcing function for time management. When dependencies work, they make projects run smoothly from the first step to the final. Notifications can interject positively to prevent team members from going on autopilot with their tasks and steer them back towards shared goals. When working on independent tasks within a larger project, it’s easy for people to slip into their own worlds and lose motivation to be productive. Notifications show what team members are working on and the results of their efforts. When status updates are visible to everyone, everyone can chime in to lend support and celebrate wins together. When you create a project workflow, you’re also setting up a communication framework. Because no one likes to be pestered by excessive pings and buzzes, each communication has to add value and only take as much attention as necessary. When communications are automated, consider how to make life easier for both the sender and the recipient. Of course, we’re leaving out general updates — when any element of a workspace is changed. Usually this is only useful for the project manager. You don’t want to risk cluttering inboxes or worse, inundating people so much that they start to ignore messages. Thanks to the notification, teammates can encourage each other and keep track of progress. In a transparent notification system, teammates can stay in the loop just enough to boost, rather than hinder productivity. In turn, everyone can take pride in great work together. The last thing employees want is more hurdles to jump over and a sense that every move is being monitored. With forcing functions, you have to let people know why these systems are in place before you can implement them — otherwise, it looks like babysitting. 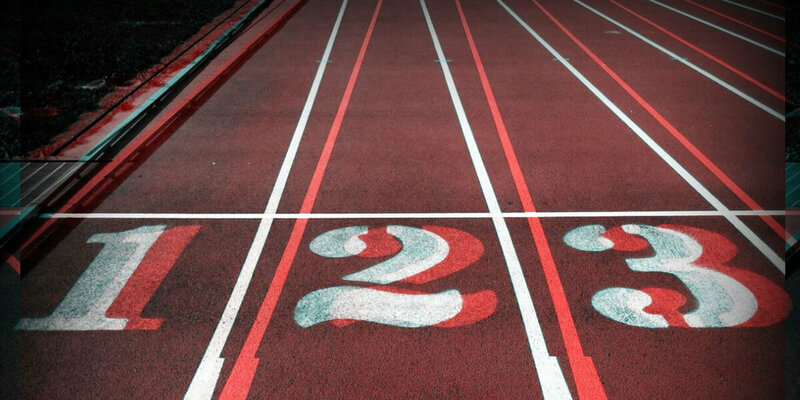 Getting the whole team on board with your accountability measures, and allowing for some flexibility in the way each tactic is applied, will make sure that these “barriers” are not really barriers at all, but guiding forces to steer your project toward the finish line.